Hackers looking to port Apple's Siri digital assistant to iOS devices other than the iPhone 4S claim to have a rudimentary version of Siri running on the original iPad. 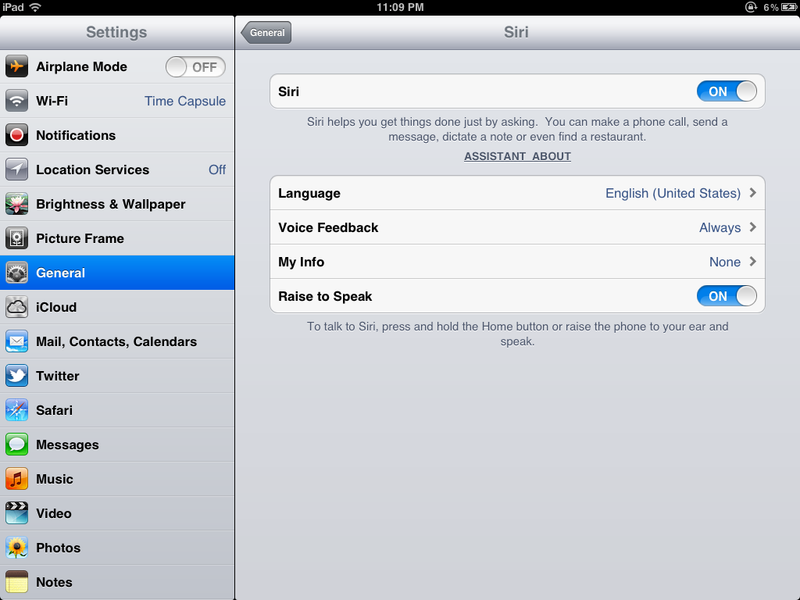 Twitter user Jackoplane recently posted screenshots online showing Siri fully integrated into the iPad's operating system. The only problems is Siri can't do much on the iPad right now since most of Siri's processing takes place on Apple servers. Similar to the version of Siri on the iPhone 4 that hacker Steve Troughton-Smith had up and running earlier in October, the iPad doesn't appear to be able to interface with Apple's servers. But that may not be a long term problem, according to Jackoplane and his Siri hack partner Joshua Tucker. The pair are also working on porting Siri to the iPhone 4 and recently posted an FAQ online (Google Docs) that details their work. The document hasn't been updated since Friday so there's no mention of the iPad port; however, the pair do claim to have figured out a method to fool Apple's servers into thinking an iPhone 4 is an iPhone 4S. The problem is the scheme appears to require a separate server that can intercept and modify data sent to and from Apple's servers. "Hosting this particular server to intercept [Siri] data...will be the venue for all users to use Siri without an iPhone 4S," according to the FAQ. It's not clear if Jackoplane and Tucker are working with Troughton-Smith on the iPhone 4 port or if each team is working separately. Troughton-Smith recently said via Twitter that he is still working on porting Siri to the iPhone 4, but would no longer be posting progress reports online until the project was finished. There's no clear timetable for when hackers will get Siri working on the iPhone, iPad or any other device (Jackoplane and Tucker hope to get Siri working on all iOS devices including the iPhone 3GS), or how it would be released to the public. In their FAQ, Jackoplane and Tucker say they are concerned about how their work could get them into legal trouble over infringing copyright on Apple's software. In an attempt to get around any copyright issues, the pair say some of the code used to power Siri is being rewritten.